You are going to complete a magnificent journey with lots of enemies and fun involved. Just build whatever you need to win the war! 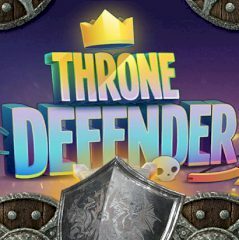 In Throne Defender you must deal with lots of enemies and time factor is more crucial than your opponents. You need to make it in right order of things!